The Dog Bowl For Men - What's Goin' On In The Kitchen? The Dog Bowl For Men is the ultimate man bowl for the cereal lovers out there. This bowl, which is based on the classic dog bowl design is ceramic, and measures 10 inches by 2 inches, meaning you can fill it with enough of your favorite cereal to keep you going all day. 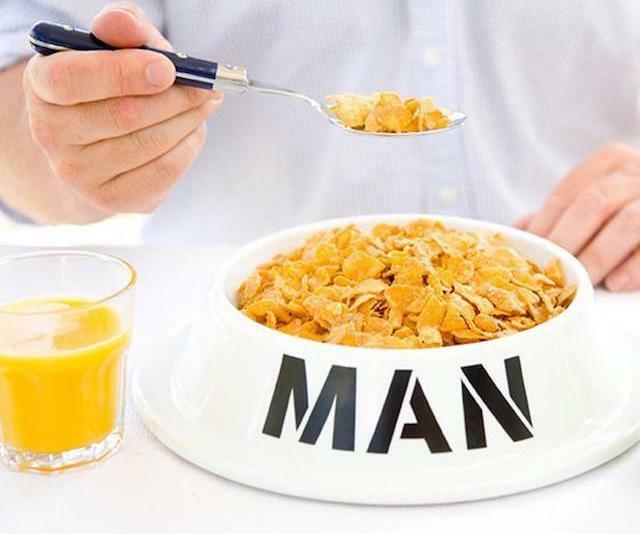 Sporting huge MAN lettering this is the perfect gift for the cereal lover in your life.